Offering you a complete choice of products which include butyl rubber stoppers and butyl injection rubber stoppers. 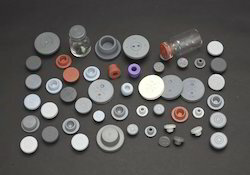 Backed by a skilled team, we are offering a wide array of Butyl Rubber Stoppers to our clients. We are offering these products in various sizes and colors, in order to meet the specific demands of the clients. The stoppers are in tandem with global quality standards, owing to which these are widely demanded in the market. These products are made using butyl, Bromo butyl, chlorobutyl, silicon, neoprene, nitrile and natural polymers. Backed by a skilled team, we are offering a wide array of Butyl injection Rubber Stoppers to our clients. We are offering these products in various sizes and colors, in order to meet the specific demands of the clients. The stoppers are in tandem with global quality standards, owing to which these are widely demanded in the market. These products are made using butyl, Bromo butyl, chlorobutyl, silicon, neoprene, nitrile and natural polymers. 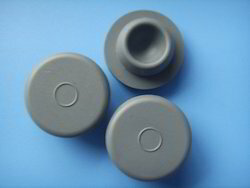 Looking for Rubber Stoppers ?